Nootropic stack Brain Supercharger is used to treat chronic daytime sleepiness. cognitive enhancement method is known to mankind. - Self supported/structure supported stacks for boilers & DG Set applications in Carbon steel and boiler quality steel as the construction material. 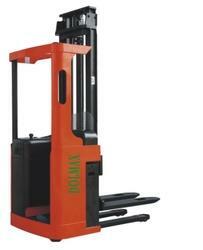 - Stacks can be of welded or bolted construction. Jove Multi System Private??? Limited??? Amara Raja's Powerstack, is a high performance battery designed to meet the demands of a wide range of industrial applications. The Powerstack range is modular in structure and is capable of accommodating a wide spectrum of capacities depending on the application. Major application areas include Telecommunications, Power Utilities, Railways, Defence and other heavy Industries. We are engaged in offering wide range of Power Stack batteries. These are manufactured using high quality raw material. Widely known for reliability, durability and accurate dimensions, the offered range of it is highly demanded by our clients. Available at reasonable prices as per specifications of clients. 2V HI-PERFORMANCE VRLA BATTERIES WITH DESIGN FLOAT LIFE OF 20YEARS AND CYCLIC LIFE OF 4000 CYCLES AT 20% DOD. RANGE STARTS FROM 100AH TO 6000AH.